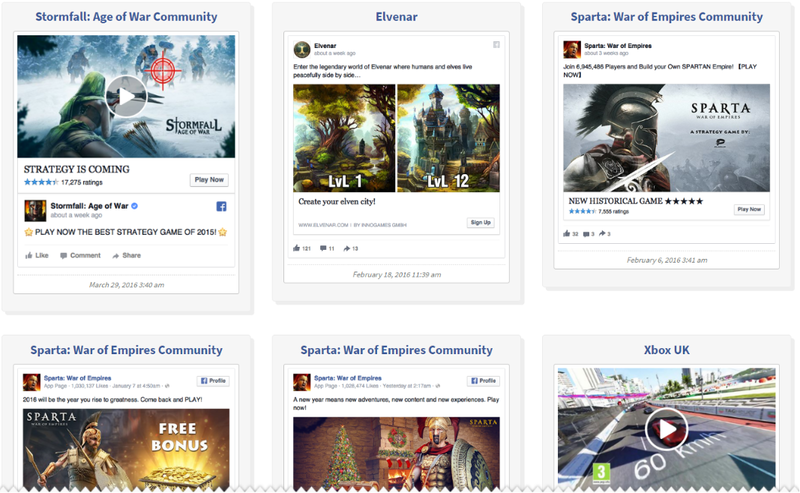 Facebook gives advertisers access to some powerful creative tools right out of the gate. The creative hub is an excellent way to develop mockups and see what they feel like in their native environment, but marketers looking to gain a competitive advantage will need to look beyond the standard offering in order to take their campaign creative to the next level. While the web is full of optimization and testing tools that empower marketers to take a scientific approach to their advertising, most come with a hefty price tag that may not be suited to teams operating on a smaller marketing budget. We’ve put together a collection of the best free tools for marketing teams that need to drive ad engagement in a resource-constrained environment. Used in concert, they can help any marketing team achieve a lot more with a lot less. Before anything else, it’s always a good idea to get familiar with the content your ad will be competing with. Thankfully, the good folks at AdEspresso maintain a database of more than 150,000 recently published Facebook ad campaigns, affording marketers a glimpse into what sort of ads other publishers might be showing to a shared audience. Users can search by industry, campaign objective, and even by granular attributes like whether or not the ad is part of a split test. Better still, marketers can add advertiser names or URLs to their search query to quickly zero in on specific competitors. Search results even return engagement numbers and video creative (where applicable) that can be viewed right in the browser. It’s a powerful tool that provides value right out of the box, marketers looking to expand their search results beyond the first page of hits will need to sign up to receive AdEspresso’s newsletter. While Facebook does offer its own suite off ad mockup tools, AdParlor’s mockup generator offers a bevy of additional features that can help marketers visualize their finished ad products even faster. In addition to customizing all the core aspects of ad creative like headline, description, image/video and logo, users can alter the number of likes and/or reactions the mockup shows, as well as the number of comments and/or shares. These extra bells and whistles can help marketers tell the right story, making it easier to get buy-in from stakeholders. It also includes a grid overlay to help marketers visualize how much text is appearing in their ad, which as we’ll outline, is critical for getting ads approved. Facebook holds advertisers to a high standard of quality, and that includes making sure ad creative doesn’t include too much text. A little bit is permissible, but any image or video assets that include more than 20% text could end up getting rejected. You can visit the Facebook help center for more detail, but if you’re unsure, your best bet is to use their official image text check tool. 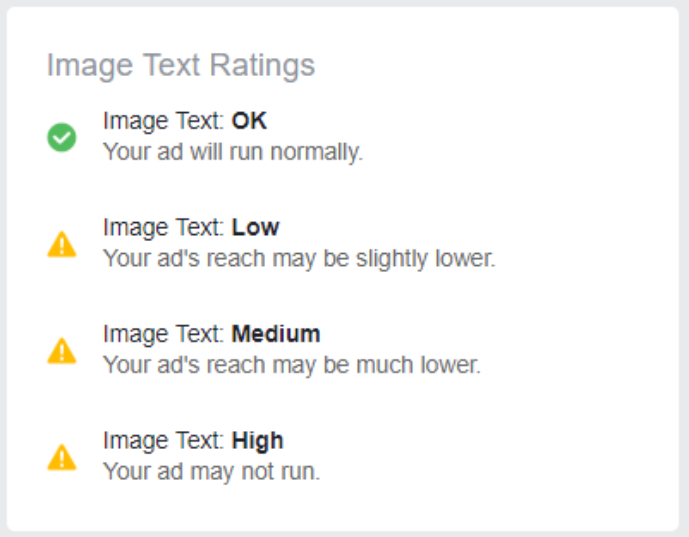 Uploaded images are given one of four rankings depending on the amount of text used, letting advertisers know whether or not it will be approved, or suffer reach penalties. Professional bloggers will tell you that they’ll often spend equal or greater time coming up with a strong headline compared to writing the actual article, and with good reason. Headlines are the thin edge of the content wedge. If the headline isn’t enticing enough for users to click on, the rest of the work becomes irrelevant. CoSchedule offers a tool that provides helpful feedback for anyone trying to create a headline capable of capturing an audience’s attention. Their analyzer breaks down your headline word by word and evaluates it based on an ideal ratio of common, uncommon, emotional, and powerful words. 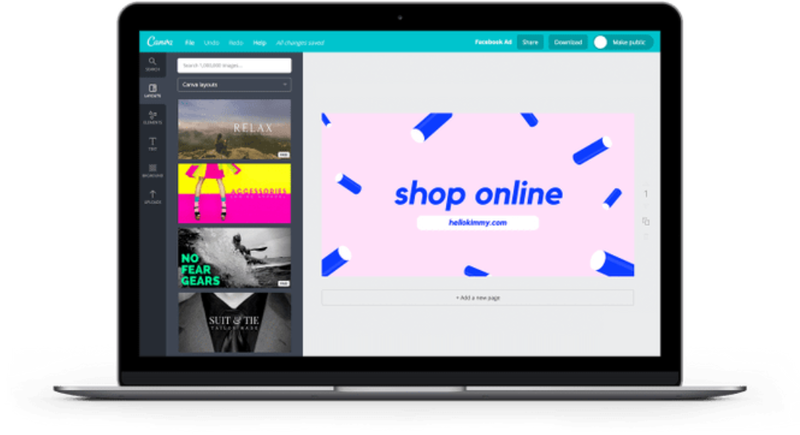 For marketing teams on a right design budget, Canva offers stunning templates and tools that enable anyone to create compelling Facebook ad graphics without the need for professional design software. It can be a major time and money saver for growth teams looking to get more value out of their existing product photography or app screenshots. Canva also offers marketers specialized tools for creating charts, infographics, and illustrations, all in a collaborative environment that can be shared with multiple team members. It’s an ideal choice for resource-constrained growth teams that need to hit their numbers while still coming in under budget. Another excellent tool for any marketing team looking to stretch their design budget as far as it will go. Adobe Spark lets non-designers produce clean, professional graphics and video for a fraction of what it costs to employ a professional graphic designer. Spark projects output assets suitable for all of the most common web advertising formats, including Facebook ads. Spark assets are flexible, responsive, and offer a slew of stock assets that marketers can use to start producing creative right out of the box. Marketers can start using Spark for free, but will need pay roughly $10 a month for a plan allowing them to output assets without an Adobe watermark. Building successful campaigns requires a blend of art and science, and that typically means cooperation between multiple team members who can bring conflicting viewpoints to the table. All of these tools, especially when used together, help streamline the ad creative process, leading to more coherent and higher performing campaigns. Whether you’re part of an enterprise-size operation or running a lean growth team, these free tools can help you drive higher results from strong creative for a fraction of the cost.